Changan Automobile (Group) Co., Ltd.
Changan Automobile (Group) Co., Ltd. is a Chinese automobile manufacturer headquartered in Chongqing, China, and a state-owned enterprise. Its production is primarily composed of passenger cars and microvans, small trucks and vans for commercial use. Changan designs, develops, manufactures, and sells passenger cars sold under the Changan brand and commercial vehicles sold under the Chana brand. It operates joint ventures with Ford (Changan Ford), Groupe PSA (Changan PSA), Mazda (Changan Mazda) and Suzuki (Changan Suzuki) which respectively produce Ford, DS Automobiles, Mazda and Suzuki branded passenger cars for the Chinese market. It also has a joint venture with Jiangling Motors (JMC), Jiangling Motor Holding, which produces SUVs sold under the Landwind marque. Changan is considered to be one of the "Big Four" Chinese automakers, and manufacture of 1.9 million units in 2012 saw the company rank fourth among China's largest automakers by production volume. A subsidiary, Chongqing Changan Automobile Company (SZSE: 000625), is listed on the Shenzhen Stock Exchange (but is also state controlled). Chang'an claims its early origins can be traced back to 1862 when Li Hongzhang set up the Shanghai Foreign Gun Bureau. How this company and today's Chang'an are linked is not clear, but the firm may be alluding to the fact that, like this famous historical figure, it seeks Western techniques to achieve its goals. In the late 1950s a predecessor company, Chang'an Factory, assembled a jeep sold under the brand name Yangtze River. By the end of the 1980s, the company was producing pint-sized trucks and vans for commercial purposes. In 2009, Changan acquired two smaller domestic automakers, Hafei and Changhe. In 2013, Changhe was transferred to Jiangxi provincial government for restructuring, and later became a majority-owned subsidiary of another Chinese automaker BAIC Group. As of 2010, China Weaponry Equipment is the parent company of this state-owned automaker, and that year Chang'an became the fourth most-productive car manufacturer in the Chinese automobile industry by selling 2.38 million units. The company also released a new logo for its consumer offerings in 2010 while commercial production retains the former red-arch brand. Although it only allowed the company to achieve fourth place among domestic automakers in terms of production, Changan made over 2 million whole vehicles in 2011. In 2012, it was reported that 72% of production was dedicated to passenger vehicles, but this count likely conflates private offerings and microvans, tiny commercial trucks and vans that are popular in China. In November 2012, Changan Ford Mazda Automobile was divided into two new joint venture companies: Changan Ford and Changan Mazda. Changan designs, develops, manufactures, and sells passenger cars sold under the Changan brand and commercial vehicles sold under the Chana brand. 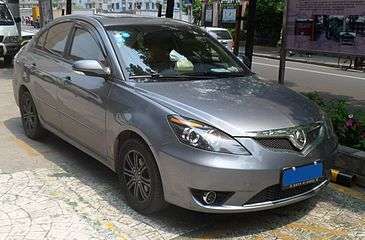 After six years of R&D, Changan debuted a hybrid automobile in 2007. China subsidizes oil, an incentive for the use and manufacture of electric cars, and Chinese automakers see opportunities in less mature electric vehicles because Western companies have yet to develop much of a lead in the technology. 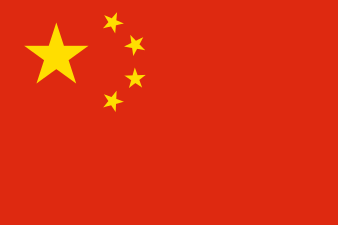 Changan has four major production bases (in the City of Chongqing, Hebei province, Jiangsu province, and Jiangxi province), eleven automobile production bases, and two engine production bases in mainland China for a more-current total of 21 vehicle-making bases including newer sites in Anhui province, Guangdong province, Heilongjiang province, Shandong province, and Shanxi province. A planned 300,000 units/year capacity mini-vehicle production base in Hefei, Anhui province, should see completion in 2011. Production capacity figures may consider engines and vehicles as discrete. An existing R&D center in Beijing will soon be joined by a passenger car production base in Fangshan District, Beijing, which will become operational in 2012. Chang'an has numerous sites in the city of Chongqing. A Chang'an-Ford plant and another, planned Chang'an-Ford plant (which may produce engines) are joined by a Chongqing-based R&D center and an industrial park in Yubei, Chongqing. An industrial park in Hebei province may continue to be Chang'an controlled. A Harbin, Heilongjiang province, R&D center, is now a Chang'an asset. It may have been owned by Hafei prior. A Chang'an-Ford plant and an industrial park in Nanjing, Jiangsu province, may comprise Chang'an operations in this province. A planned Chang'an commercial vehicle production base in Nanchang, capital of Jiangxi province, will produce JMC and Ford-branded vehicles and join an R&D center as a second facility in this province. The latter facility may be a former Changhe asset. Chang'an has an R&D center in this coastal city. The company maintains four factories in international markets and several overseas R&D centers. Chang'an had an assembly plant in Poteau, Oklahoma, piecing together products sold under the Tiger Truck brand from 2007 to 2010. The Changan CS35 is built in Russia since 2016. Possessing valuable IP, some R&D facilities are more valuable if located in secure, overseas locations. Chang'an has R&D centers in Turin, Italy, and Yokohama, Japan. It set up two more in 2011. These are located in Nottingham, England, and Detroit, MI, US. The Detroit center opened in early 2011, and the Nottingham facility is still in operation as of 2013. Like most major Chinese automakers, Changan partners with Western and Japanese companies to produce and sell the products of these foreign firms in China. Changan currently participates in the following joint ventures: Changan Suzuki (1993–present), Changan Ford (2001–present), Chang'an Ford Mazda Engine (2005–present), Changan PSA or CAPSA (2010–present), and Changan Mazda (2012–present). Changan also has at least one joint venture with an indigenous partner. Jiangxi Jiangling Co Ltd (2004–present) is a JV with Chinese Jiangling Motors, which designs, develops, manufactures, and sells SUVs sold under the Landwind marque. 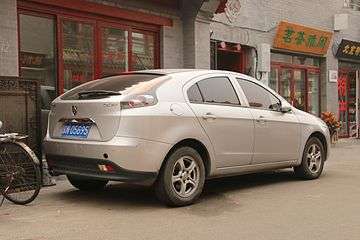 In 2001, Chang'an Ford was formed and initially built Ford-branded passenger vehicles from complete knock down kits. Making Chinese-market versions of Ford consumer offerings, its 2010 dealer network was thought to include many showrooms in second- and third-tier Chinese cities such as Chongqing. So-called second- and third-tier cities are large and medium-sized cities not among the top four in terms of population and contribution to GDP. Changan and the French car manufacturer PSA Peugeot Citroën agreed in 2010 to set up a 50/50 passenger car and light commercial vehicle-making joint venture. Named CAPSA, it is the PSA Group's second joint venture company in China, after Dongfeng Peugeot-Citroën Automobile, and its first with Chang'an. Centering on a newly built production base in Shenzhen, it is estimated that initial production capacity for the project will be 200,000 units/year. Manufacturing commenced in 2014, with China specific Citroën DS models; the DS 5LS first and then the DS 6WR. 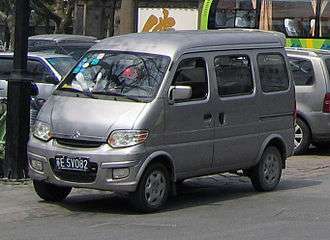 Technical and commercial cooperation with Suzuki Motors, beginning in 1983, saw Changan assembling inexpensive commercial trucks (originally the Suzuki Carry ST90) under license into the 2000s. 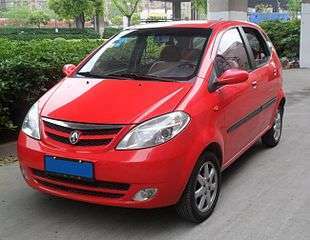 The two companies formed Chongqing Chang'an Suzuki Automobile Co in 1993, which built licensed versions of the Suzuki Alto, Suzuki Cultus, and more recently the Swift. In parallel with its Suzuki joint venture, Changan also continued to build small trucks and vans for commercial use based on the 1999 Suzuki Carry license, but independently developed vehicles are quickly replacing them. These small cars carry the Changan brand name although Suzuki technology is used in their design and manufacture. ↑ "Profile of Jiangling Motor Holding Co.,Ltd(JMH)". Jiangling Motor Holding. Archived from the original on 28 January 2013. Retrieved 6 January 2013. 1 2 "2012年12月分车型前十家生产企业销量排名". China Association of Automobile Manufacturers (CAAM). 14 January 2013. Archived from the original on January 15, 2013. Retrieved January 15, 2013. 1 2 3 4 "About Chana". CHANA International Corporation. Archived from the original on 12 June 2008. Retrieved 21 September 2013. ↑ "Chana History". CHANA International Corporation. Archived from the original on 8 April 2010. Retrieved 21 September 2013. ↑ "BAIC takes majority stake in Changhe Auto". China Daily. 26 November 2013. ↑ 2011年前十家乘用车生产企业销量排名. China Association of Automobile Manufacturers (CAAM). 2012-01-20. Archived from the original on 2012-08-20. ↑ "Restructure of Changan Ford Mazda Automobile Approved". Mazda. 30 November 2012. Retrieved 3 March 2014. 1 2 "Chinese Brands". China Auto Web. Retrieved 3 March 2014. ↑ DE FEIJTER, Tycho. "Changan Eado EV will hit the Chinese car market in December". ChinaCarNews.com. ChinaCarNews. Retrieved 8 March 2015. ↑ "Company Portrait". CHANA International Corporation. Archived from the original on 21 May 2010. Retrieved 21 September 2013. 1 2 3 4 5 6 7 "Changan Auto Group opens three new R&D centers". Gasgoo Automotive News. Gasgoo.com. April 20, 2010. Retrieved 21 September 2013. ↑ Simpson, Susan (October 8, 2010). "Tiger Truck closing Poteau plant". NewsOK. ↑ "Production Of Changan CS35 Started In Lipetsk Region". Wroom.ru. Retrieved 2016-10-01. ↑ For Nottingham center, see "Chinese car maker to create 200 new jobs in Nottingham". East Midlands Development Agency. Retrieved 2011-02-02. For Detroit center, see "China's Changan Auto to set up Detroit R&D centre -Xinhua". reuters.com. Thomson Reuters. 2010-06-30. Retrieved 21 September 2013. ↑ "Changan USA R&D Center Set Up in Detroit". changanus.com. Changan US R&D Center, Inc. 18 Jan 2011. Retrieved 27 September 2013. ↑ "Changan Ford Mazda Engine Celebrates One Millionth Engine Milestone". @FordOnline. Ford Motor Company. Mar 6, 2013. Retrieved 22 September 2013. ↑ "China approves Ford, Mazda, Changan to split JV in two: Ford CEO". Reuters. 27 August 2012. Retrieved 1 May 2015. ↑ "Chana JMC". CHANA International Corporation. Archived from the original on 5 Oct 2008. Retrieved 21 September 2013. ↑ Naughton, K. (Apr 21, 2013). "Automakers Go West in China to Thin Margins, Fat Growth". bloomberg.com. Bloomberg LP. Retrieved 22 September 2013. ↑ Mullich, Joe. "China's "Second-Tier" Cities Take Off". The Wall Street Journal. Dow Jones and Company, Inc. Retrieved June 4, 2012. ↑ For Shenzhen production base, see "About CAPSA: Changan PSA Automobiles Co., Ltd Profile". capsa.com.cn. Changan Automobiles Co Ltd. Retrieved 27 September 2013. ↑ "PSA launches DS compact crossover in China". Automotive News Europe. 10 October 2014. Retrieved 19 November 2014. 1 2 World of Cars 2006·2007. Warsaw, Poland: Media Connection Sp. z o.o. 2006. pp. 226–227. ↑ "Suzuki seeks new venture in China". Global Times. 2010-07-08. Wikimedia Commons has media related to Chang'an vehicles.